How does a garbage disposer work? My disposer smells really bad. What can I do to get rid of it? What can I put into my disposer? What shouldn't I put into my disposer? When I run my disposer, should the water be a certain temperature? Do I have to run the water while using the disposer? How do I un-jam my disposer? My garbage disposer won't run when I turn it on. What's wrong? 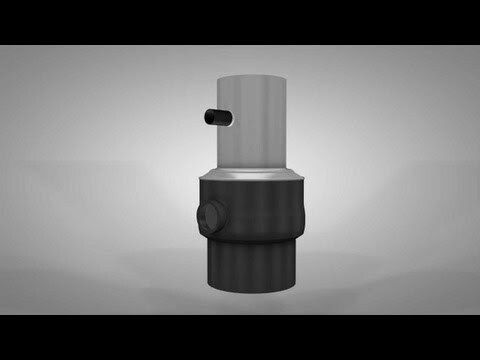 A garbage disposer (a.k.a. garbage disposal) is an appliance attached to a kitchen sink drain for the efficient disposal of food waste. Your disposer's splash guard and stopper are bacteria havens. Some disposer models enable you to remove the splash guard and clean it by hand. Soak the splash guard and stopper in vinegar or diluted bleach for 20 minutes. Then rinse and return to the disposal. Consider replacing it if you have difficulty eliminating odor. Don't overload the disposer with too much food to process at once. Fibrous foods such as corn husks can cause problems because the disposer cannot properly break them down. Potato peels are dense, heavy, and can easily clog the drain if you try to dispose of too many at once. While ice cubes may assist with removing food from the "blades" and the interior of the unit, there's really no efficient way to sharpen garbage disposal blades. Over time, they dull. If you find that your disposal is no longer operating properly, you will need to replace it. Use biodegradable, non-toxic cleaning pellets to eliminate disposal odors naturally and keep it smelling fresh. It's safe for septic tanks and PVC pipes. Never put your hands into the garbage disposer. Use biodegradable, non-toxic cleaning pellets to eliminate disposer odors naturally and keep it smelling fresh. However, if you find that you have a major disposal odor problem: While running the disposal and the faucet, pour in a solution of one gallon of water and one half cup of bleach. This will destroy odor-causing bacteria. Highly fibrous foods such as corn husks and dry onion peels should not be put into a disposer. These can cause clogs in the disposer or drain pipes. Yes, cold water is ideal. Do not use hot water. Yes. Run a full stream of cold water through the disposer while it's in operation. After the disposer is turned off, let the water run for another five to 10 seconds. For most disposers, a disposer wrench can generally handle most jams. A disposer wrench is a quarter-inch Allen wrench that fits into the bottom center of most disposers. If your disposer is jammed, insert the wrench and wiggle the grinding plate black and forth to loosen jammed particles. If there's a grinding sound when you wiggle the plate, there could be something caught in the disposer. Common items to get caught are coins, earrings, soda can tops, twist ties, toothpicks and others. Use a flashlight to inspect the inside of the disposer. Your garbage disposer's start switch or motor may be defective. Or the wall switch that powers the disposer may be faulty. Enter your garbage disposer's model number in our repair help for troubleshooting information.